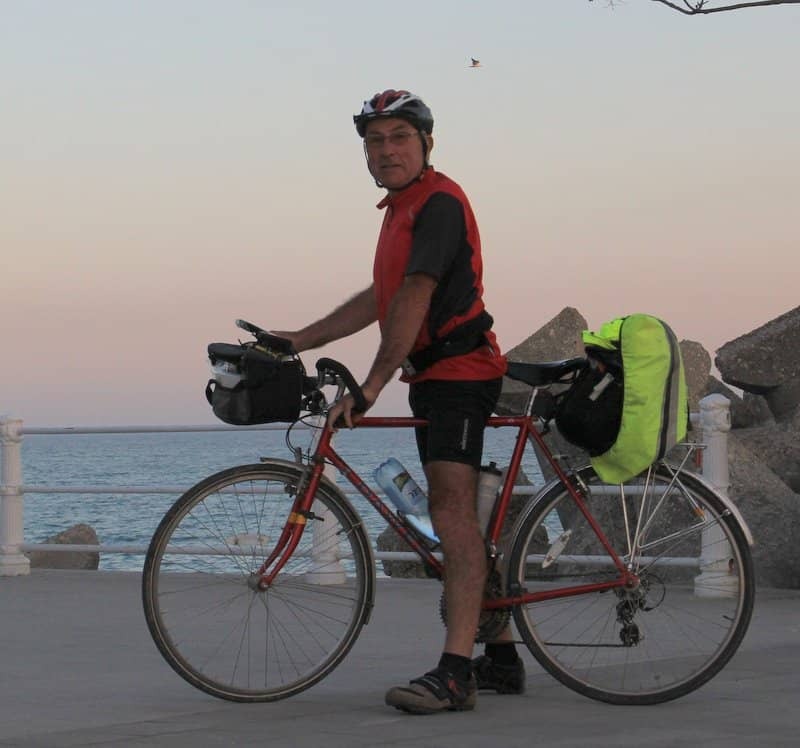 Well I made it to the Black Sea at Constanza, 80 days after leaving Cambridge having cycled 2,900 miles or so in total. I had a 2 week break in Les Gets and another 2 weeks in Hungary. Today was real tough from getting a once over on the Schengen Agreement by the Bulgarian border man (and no neither Romania or Bulgaria are in the Schengen Agreement) to deciding to go off road through Ostroy when the main road wasn’t busy at all. Then the real roller coaster (yesterday was a warm up) not helped by me trying to beat some club cyclists out for a bit of hill training. Culminating in the totally horrendous traffic from around Clocarila into Constanza. In fact it’s probably best to miss Contanza and cycle up the route from Ion Corvin to Cernavoda, unfortunately it isn’t clear there is any where to stay on that route. There looked to be a pension in Ion Corvin. Following on from Hola and prostitution yesterday, today it was all Hello’s although i did see a Spanish registered car with an elderly madam obviously striking a deal with the shop owner where I bought my lunchtime beer.Later on Highway 3 leading out of Murfatlar individual girls were out in force..
After a full 10 seconds pondering over the price I settled on staying at Ten Hotel with a view over the industrious port & The Black Sea. Not sure what’s next in my trip apart from recovering here tomorrow and then riding North to see The Danube Delta.